In 5S, why does ‘Sort’ come before ‘Set-in-order’? 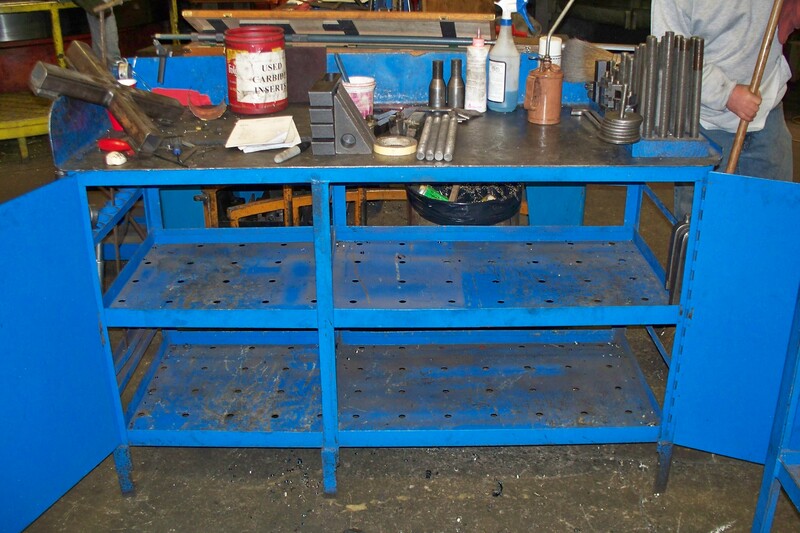 While performing a 5S Event last week in a job shop we ran across the typical workbench for operators. Let me give you a little background information about this kaizen event. This was a well thought out event because the company was relocating one of its machines (a vertical boring mill) and they decided it would be a great idea to do a 5S around the machine in its new area. This company is relatively new to Lean and 5S; this was their second 5S event. Some of the team members had 5S experience at previous employers. There were two things that I found amazing from this event: 1) the power of Sort, and 2) the ability of operators to be able to see things in a new way. There was a workbench that they brought over from the old work area. The team just assumed that they would use it in the new area. When we applied ‘Sort’ to the workbench, clearing out all the things they didn’t need using the 5S Red Tag Technique, the team realized that there wasn’t that much that they actually needed from the bench. 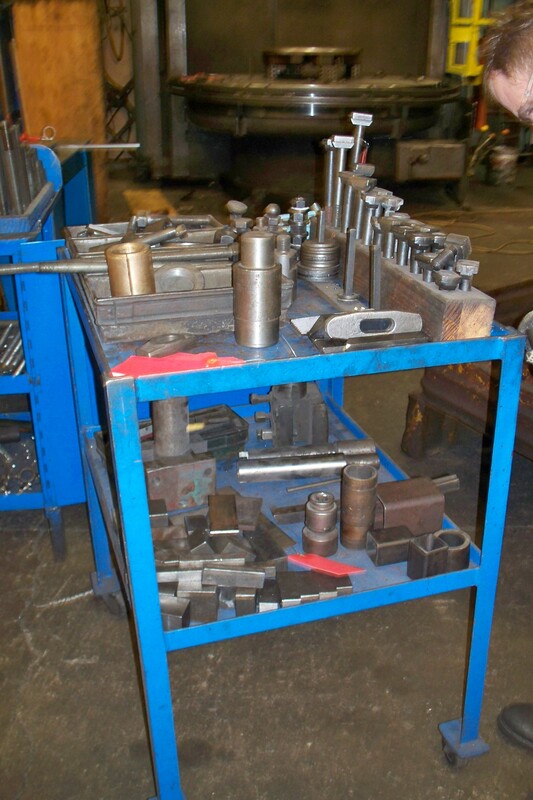 The supervisor, who likes to be organized by his nature, explained that he had all the items in the workbench pretty organized, but his ‘ah-ha’ moment came when he realized he was organizing things they really didn’t need. The power of ‘Sort’ came through like a freight train. Why organize things you don’t need in the work area? This seems obvious to anyone, but I would challenge you to go to your work areas and see if anything needs to be Red Tagged. He realized that he spent time organizing (Set-in-Order) things that he didn’t need to and that this was waste. 5S red tagged items removed from the workbench. Now I am very sensitive to the workbenches around equipment and machines. These tend to become very personal for the machinists or operators. When I approach this topic, I’ll be aware of the sensitive nature of what I am about to suggest. As you all know, a horizontal surface can become a potential area for items to accumulate. When it comes to workbenches, it seems that they have far too many things on them and are much bigger than the need to be. So I will challenge (in a nice way) the operators to see if there is something else they could use other than a workbench or at least a smaller workbench. At first, I’ll get strange looks like I am trying to take away all their freedom but after thoughtful questions and discussions the operators usually see the waste that they have because of the bench including motion (walking) and search time. In this particular case they decided that they didn’t need a big bench. The team decided on a tool shadow board with only the tools they needed for operation and set-ups, and a small work table to measure parts. My favorite part was when an operator came up to me and said that he never thought they would ever get rid of the old bench. He was amazed that when you look at things with an open mind what a better solution you cold come up with. Kudos to those operators who see this and are willing to change! Don’t waste you time organizing what you don’t need. ‘Sort’ first!